How many times have you wanted to email the owner or founder of a company directly? Maybe you love them. Maybe you don’t care for them. Maybe you want help in finding a CD or DVD. Maybe you just want to talk. Now you can, and I’m inviting you. My personal email is DrumAlive@aol.com. I founded and I own JazzLegends.com, and I invite you to write about anything at all. In the process of doing necessary little “tweaks,” it seems our “contact” icon is out of order for a brief moment. No matter. DrumAlive@aol.com. That’s where you get me. At any time. Joy Adams, dubbed Philadelphia’s “Golden Girl of Song” by the Philadelphia Inquirer, will be performing at Remy’s Bistro in Naples on Tuedsay, February 5th, in celebration of the New Orleans/Mardi Gras Tradition of Fat Tuesday. 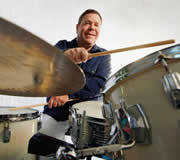 Adams will be accompanied by drummer Bruce Klauber, and his Jazz Trio. Performances are 6 to 9 p.m.
Adams, a part time Naples resident, has been entertaining audiences all over the world for more than 30 years with her classic interpretations of American Popular Song. Her singular versions of compositions made famous by Ella Fitzgerald, Tony Bennett, Frank Sinatra, Billie Holiday, Diana Krall, Nina Simone and Harry Connick have delighted fans in the Atlantic City and Las Vegas casinos. and in locales as far away as London’s Savoy hotel and the famed, Rue de Caves jazz club in Paris. Adams has managed to accomplish the virtually impossible in the music business. She is an original. She is stylistically a one-of-a-kind, and above all, a story-teller, with an absolute belief in the lyrics and the meaning of a song. She draws the audience in to the song and the story, which is only one reason why her following is such a devoted one. Her CD, “Joy Adams Sings the Classics,” received stellar reviews nationally, including one in “Cadence” Magazine that compared her favorably with Billie Holiday. Her individual rendition of Chris Connor’s “All About Ronnie,” continues in heavy rotation on WRTI-FM in the Northeast part of the country. But Joy Adams has that rare quality, as does her accompanist, Bruce Klauber: They appeal to a wide range of audiences who might not have liked jazz before or since. And in line with that, they do plan on doing some material long associated with the Fat Tuesday, Mardi Gras tradition of New Orleans jazz. Musical Director Bruce Klauber is a multi-instrumentalist and vocalist best known for his two books on drumming legend Gene Krupa, and as writer/producer of the landmark, Warner Bros. DVD documentaries on Krupa, Buddy Rich, Lionel Hampton and the Legends of Jazz drumming series. Since the publication of our book in 1990, “World of Gene Krupa,” there has been an unparalleled resurgence in interest in the life and music of “that ace drummer man.” Thankfully, the marketplace is filled with CD reissues, videos and dvds on Gene and other great drummers in jazz history, web sites, books, posters, tee-shirts, and more than a few Krupa “sound-alike” drummers and tribute bands. 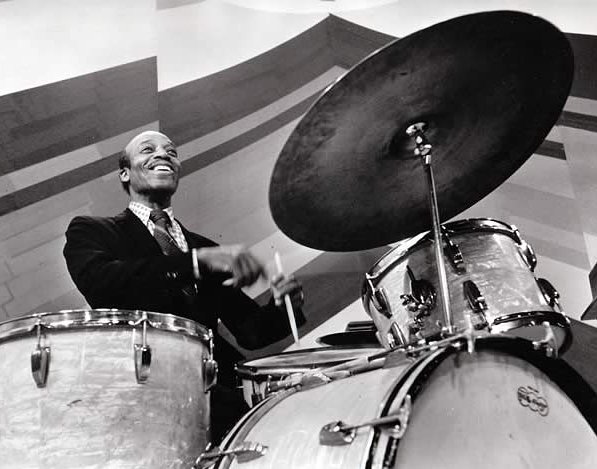 Finally, the jazz history books have properly acknowledged Gene’s contribution to drums, drumming and to jazz. Though he died at the rather young age of 64, in 1973, Gene had a long and glorious recording career that began in the late 1920s and continued right up until 1973. That’s six decades. Unfortunately, most of the better, commercially issued recordings have long been out-of-print. Aside from a couple of foreign and domestic reissues through the years, it appears that most of them will remain out-of-print. One of our goals at JazzLegends.com is to ensure that those old LPs from the 1950s and 1960s live on. We like to think we have fulfilled that part of our mission, via the transfer to CD of rarities like “Driving Gene,” “Hey Here’s Gene Krupa,” “Great New Quartet” and all the others. There’s another significant part to what we do here: As jazz players and jazz fans know, often the best music is made outside of the recording studio. That’s why we’ve devoted so much time and energy to tracking down Gene’s radio and television appearances, live concerts and projects done for the overseas market. We strongly urge you to check out our newest discoveries, highlighted by something called “So Rare.” Even the folks here at JazzLegends.com can’t believe some of the tracks on this CD. We apply same philosophy to our VHS videos. Gene’s films and film appearances were wonderfully entertaining. Sadly, they will likely never be released commercially and are rarely shown on television. We won’t let them disappear. Our “Raw Footage” tapes are a great complement to the full-length films, and offer glimpses of Gene in rehearsal, being interviewed, on television and in rare film shorts. Please note that our pricing policy has changed, and is undoubtedly the most reasonable price structure in the business. Collectors have long been paying hundreds and thousands for material like this over the years. Our prices? All CDs and books are $15. All videos are $30. Shipping is free worldwide. That’s it. In the news department, we have received word that “The Gene Krupa Story” will be released to DVD on or about May 18th. Don’t ask why, but there are no extras on the DVD. They could have come to us: The famed “Jammin’ With Gene” promo short with Sal Mineo is on our “Gene Krupa: Jazz Legend” video. The original theatrical trailer to “The Gene Krupa Story” is on our video “Classic Drum Solos and Drum Battles.” And we also have Gene’s appearance with Sal, promoting the film, on a 1958 “I’ve Got A Secret” tv show. In the not-too-distant future, perhaps we will put all these “promo” pieces on one video. We’re also told that a CD reissue is on its way in the form of the great, “Gene Krupa Plays Gerry Mulligan Arrangements” recording. No word about alternate takes yet, though most of these reissues seem to be straight transfers of what was on the original LP. Note that whenever a title is issued commercially, we do take it out of our catalog. As many of you know, by way of my longtime affiliation with Hudson Music, I’ve gotten the chance to work with drummer extraordinaire, Steve Smith, rather closely on a number of projects. I will tell you, unequivocally, that there is no better drummer than Steve out there, and that if he’s appearing in your neck of the woods with Buddies’ Buddies, Vital Information or in a clinic or master class, just go and see him. You will be astounded. Bruce H. Klauber, D., Mus.